Renaissance Home Connect improves the school-to-home connection by allowing parents to log in to the AR Home Connect website and view their pupil's progress. Access to online results promotes discussion between parent and pupil, which motivates pupils and can make reading even more effective. 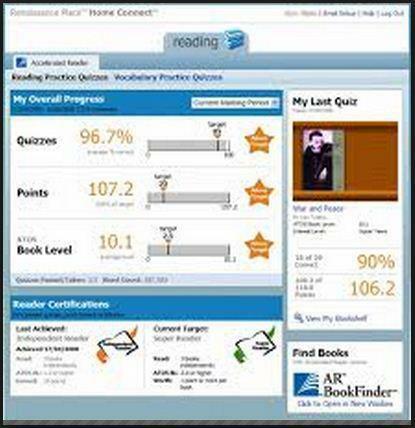 Parents and pupils can see all the books the pupil has read. Clicking a book shows details about it such as book level, word count, points and more. 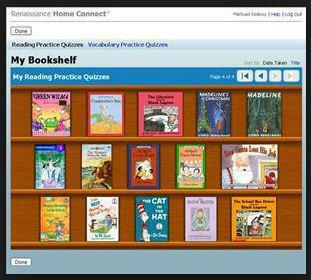 By entering your email address you can get up to the minute news when your child takes a quiz! Access HOME CONNECT by clicking the link below.